After I bend the hoops, drive the posts and pull the plastic out a single annoying task stands between me and finishing the job in short order. When I have a helper (often my daughter) we can zip through tying down the plastic in no time. We actually play a game where we time ourselves and see how quickly we can tie down 6 hoops. (No particular reason for choosing 6, it just came into my mind when I was trying convince my daughter that this would be the most awesome game ever - and she bought it!) We can do 6 in a little over 7 minutes when we don't run into a tangle in our lines. That is pretty fast. Each tunnel on our farm is 85 feet long, with 18 hoops if we're using the full length. But if she's not around....trouble. Then, I stand on one side and throw a few lines over the top of the caterpillar tunnel and then run around to the other side and try to tie them down. But, what inevitably happens is that the slightest gust of wind sweeps in and lifts those lines back to where they started. And so begins my dance around the tunnel. Throw the lines over - run around to the other side - be disappointed that they have drifted back over. I've left the job unfinished more times than I can remember. Frustrated. Angry that I couldn't do this simple task on my own. Two of the 12, 85ft low tunnels on our farm. They aren't the most picturesque but they work. In the winter, I move them to shelter the perennials. We use orange bailing twine (available at Tractor Supply Stores or here locally at Ward Lumber) to tie down the plastic. Even just a slight wind can make that process tricky. I even tried anchoring the lines to random things from my tool belt. Tied car keys to one set of lines, a sharpie to another, a pair of kids' scissors to the next. The act of tying them on and untying them made things exponentially longer. And then it hit me. Binder clips. 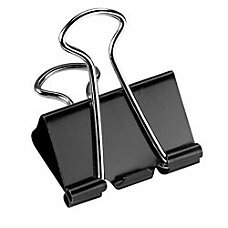 All I needed were some damn binder clips (image below). Went inside. Grabbed some clips. Life was good again. I bring 18 clips (the standard number of hoops per row on our farm) into the field with me. When they aren't being used you can store them on a carabiner and hang them on your belt or just clip them to your belt or work clothes (my method). Stand on one side of the tunnel and thread your bailing twine tie-down string through the first hoop anchor. Pinch the two ends of the string in the binder clip and toss it over. Repeat this process at each hoop before moving to the other side of tunnel to remove the clips one at a time and tie each string to that's side's anchors. Of course, if you have two people, you can just pass the lines over to your parter. This method helps me accomplish the task alone. You'll get less exercise this way, but it will also take you less time and lead to less frustration! Need a little more weight? Pick up those refrigerator clips with the magnets on the back. Have you solved this problem another way? Please share your thoughts in the comments below.